Hey! Who said Frankenstein has to be a scary monster? This is such a cute craft made with none other than your kid’s own handprint. 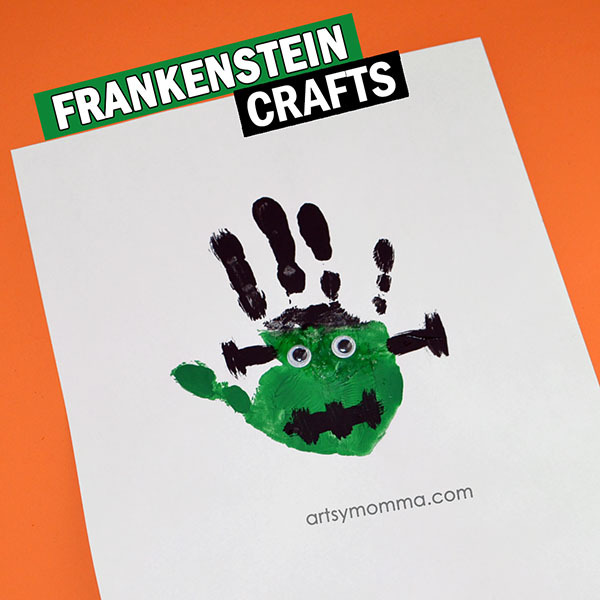 Use a handprint and a few additional paint strokes and suddenly, you have a not-so-scary Frankenstein work of art! 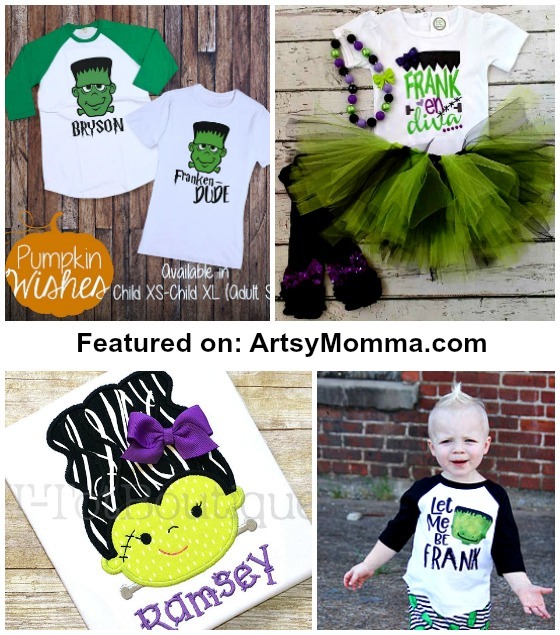 In this post, you will see a couple of easy-to-make preschool Frankenstein crafts for Halloween. 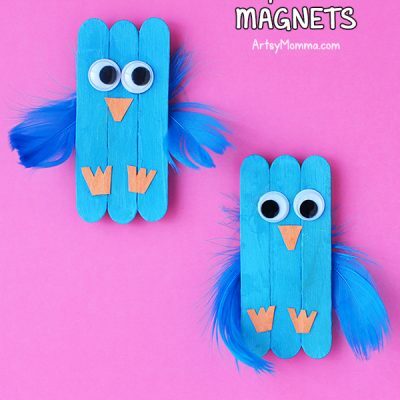 Besides the handprint craft, there is also a paper craft that is great for kids whol are learning to use a scissors. *This post contains affiliate links to products. We may earn a small comissoin for items ordered through these links. Please read here if you’d like to know more on this. 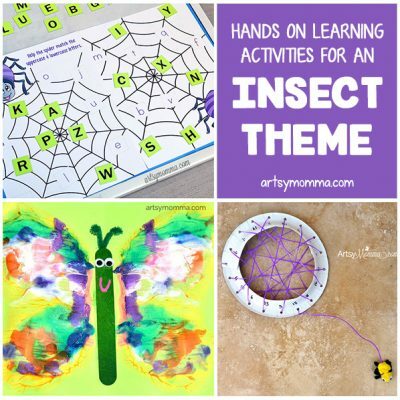 Have your preschooler paint the 4 fingers with black paint and the rest with green paint. Adults and older kids can do this part if working with younger kids. Make a print on the page. My daughter’s was made with her fingers spread open a little, but having the fingers closed (touching each other before pressing down) would also be cute. Let dry. Add googly eyes and paint or draw on a mouth, scar, and bolts. From the green paper, cut a rectangle for the head and a nose shape. Draw zig-zagged lines to create the hair using the rectangle as a guide for how wide to make it. Cute 2 small semi-circles. Use the black semi-circles as a template for creating the white part of the eyes. Place the black ones on the white paper and have your child trace a bigger semi-circle around them. Cut these out. Cut two bolt shapes from gray paper. You could have them draw a small oval shape with a tiny rectangle underneath. You could either cut a mouth shape from the construction paper or draw one on. Glue all the pieces in place. Finish by drawing on the black scar/stitches. 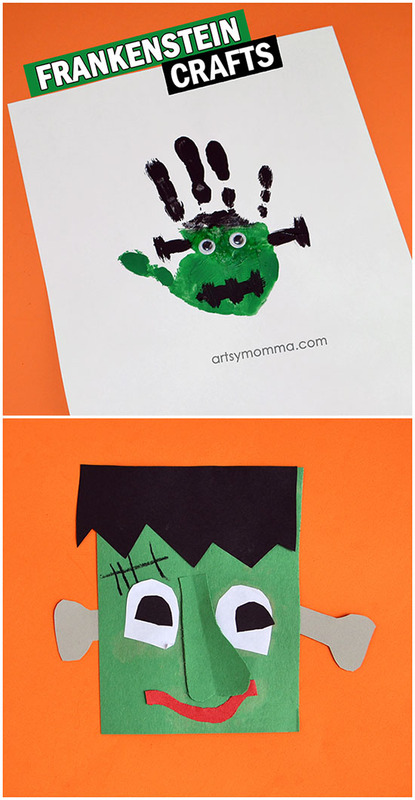 See more Frankenstein kids crafts here! 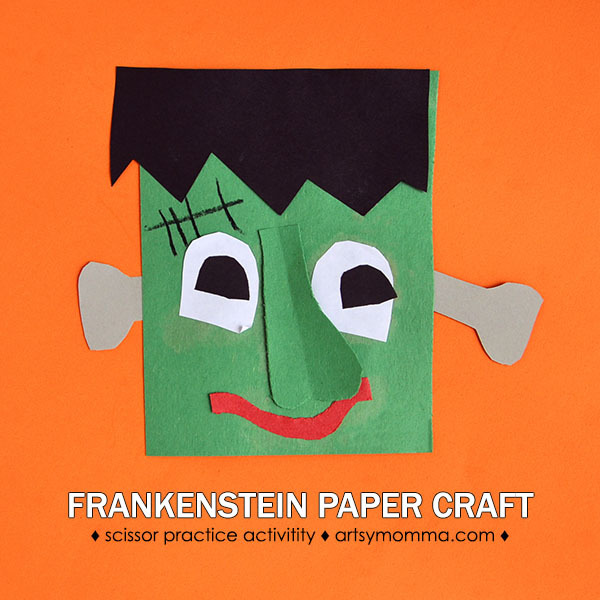 What do you think of the preschool Frankenstein crafts? Don’t they look like fun?